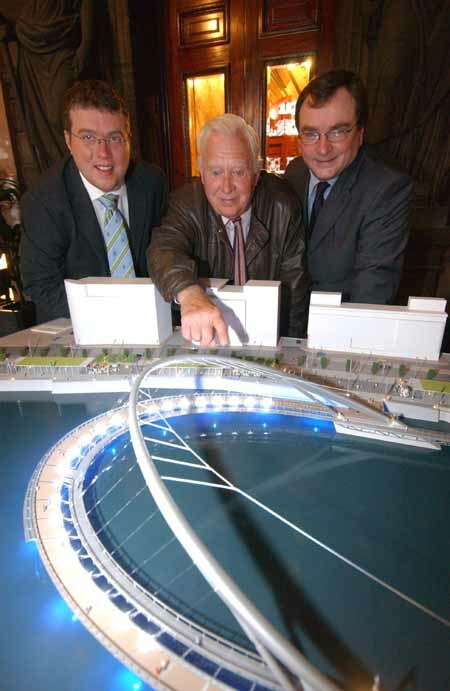 17 Aug 2013 – There have been grumbles and discussions about the quality of buildings and spaces along the River Clyde for years. Back in the last boom there were many commentators who felt the riverside was being ruined with too many high modern buildings. There didn’t appear to be many whole-heartedly supporting the current and proposed developments. 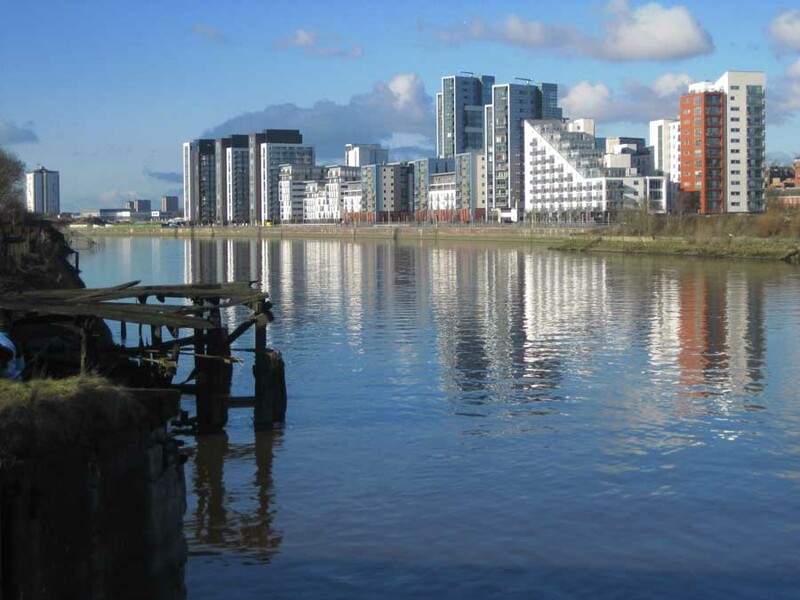 In fact we have stated a few times over the years concerns about the quality of the architecture along the River Clyde, the poorly designed public realm and the lack of connection to the river. I’ve led quite a few walking and bus tours in the last year (well just like for the last 12 years!) 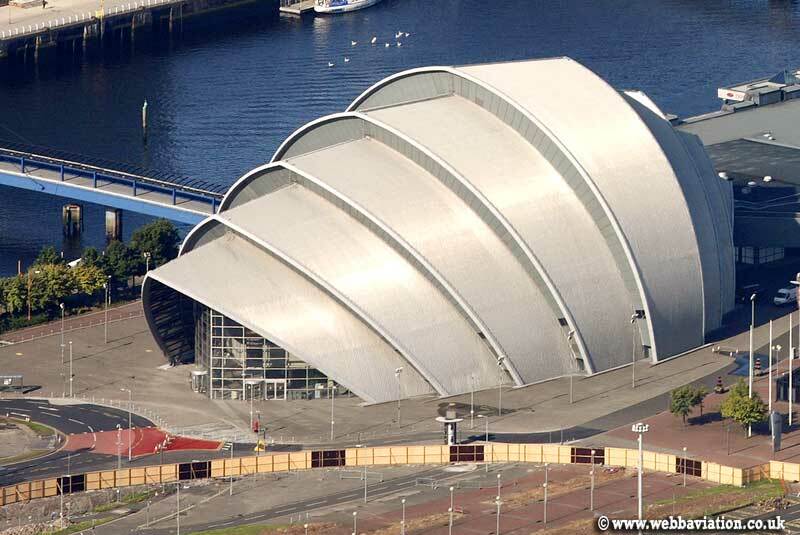 and almost all visitors have seen images of the Clyde Auditoriumm, the BBC and the Science Centre – so they want to visit them in the flesh. But all visitors I’ve talked to in recent years have been unimpressed with the overall feel. They almost all enjoy the quality of the BBC interior, many like the shape of the Armadillo, but they have all complained of the poor quality materials and the poor connections. The spaces either side of the river are too windswept, there needs to be more trees and more architectural elements (not necessarily buildings) to define space and break up air currents. The walk from the BBC to the SECC involves threading across the road to the Moat House Hotel, a complete lack of logical and pleasant connection. 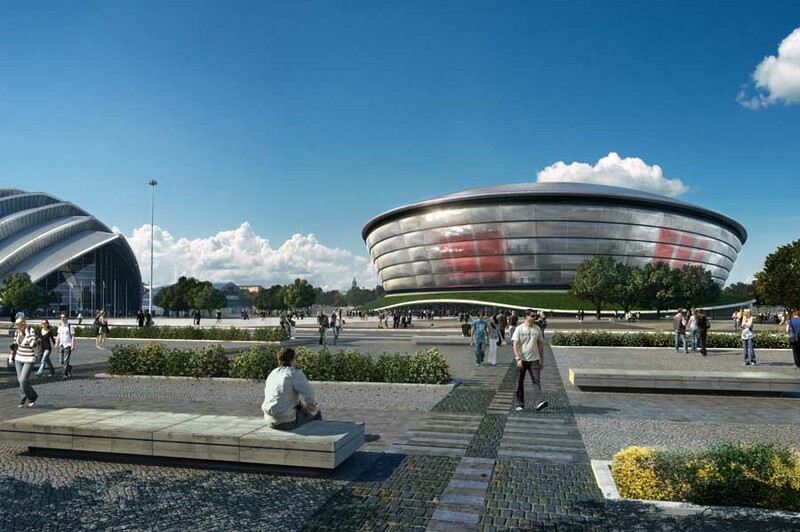 With the impending opening of The Hydro I would strongly advise the City Council to take a long hard look at these spaces and put in process a plan to renew them. They are tackling George Square, which is good. 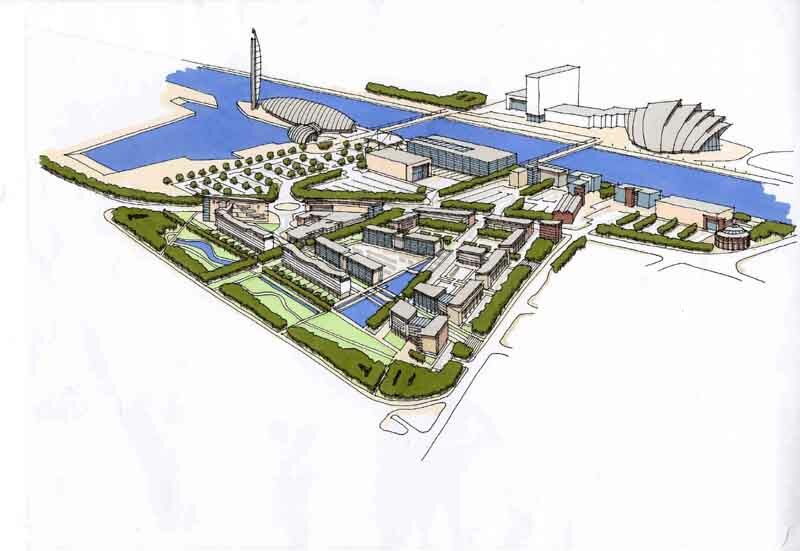 But for many visitors the spaces down by Pacific Quay are just as important. The ideal would be to get a consistent approach along the River Clyde in the city centre, just like Page & Park’s successful (in my view) renewal of the Royal Mile in Edinburgh with its continuous sea of Caithness Stone and pleasant pocket parks and subtle interventions along its route. 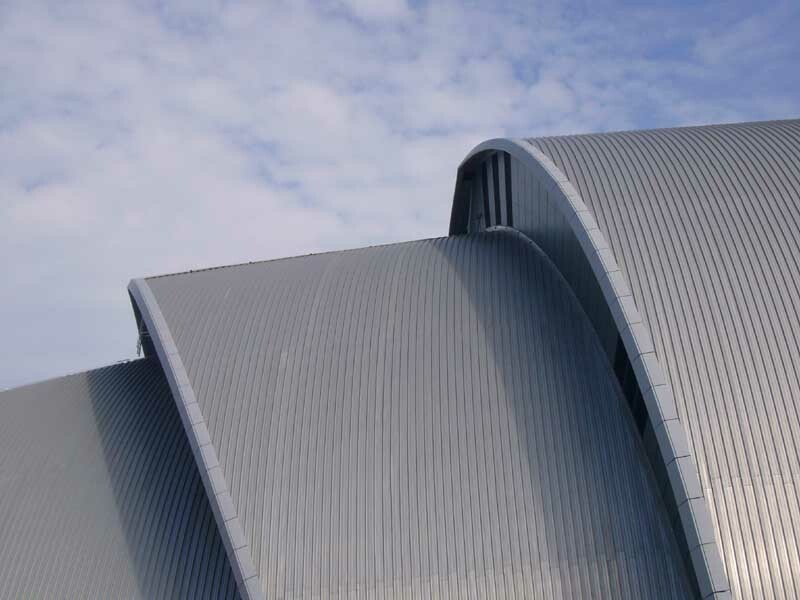 If funding is an issue for me the focus would be the areas described above, from the dreary SECC entry areas to the windswept spaces at the Science Centre. But if the connection from Buchanan Street to the River Clyde could be augmented and landscaping improved on the north bank (at least from the Tradeston Bridge east to Crown Street) then that would be even better. It doesn’t have to be anything fancy or involved some long-winded competition process. The city has shown it can do good spaces, our visitors always love the Exchange Square and enjoy walking Buchanan Street. Another space they consistently enjoy is the Fruitmarket – it has presence, a rare public space and the opportunity to get in out of the rain. And finally one of the best urban spaces in Scotland, the Italian Centre. On a sunny day it is hard to get visitors away from this place, they especially love the rill and the dog sculpture. 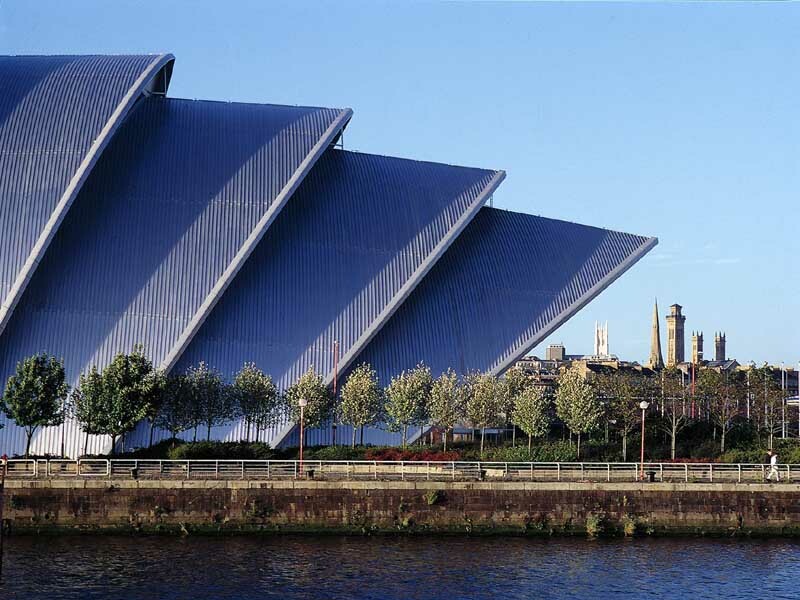 Last Monday on BBC4’s architecture programme Norman Foster (slightly ironically the architect of both the Armadillo and The Hydro) vehemently stated that spaces are more important than buildings and in terms of visitors emotions I think that is true. So although this is an architecture website we do need to address public realm issues if we are to improve the experience of living and visiting the largest city in Scotland. 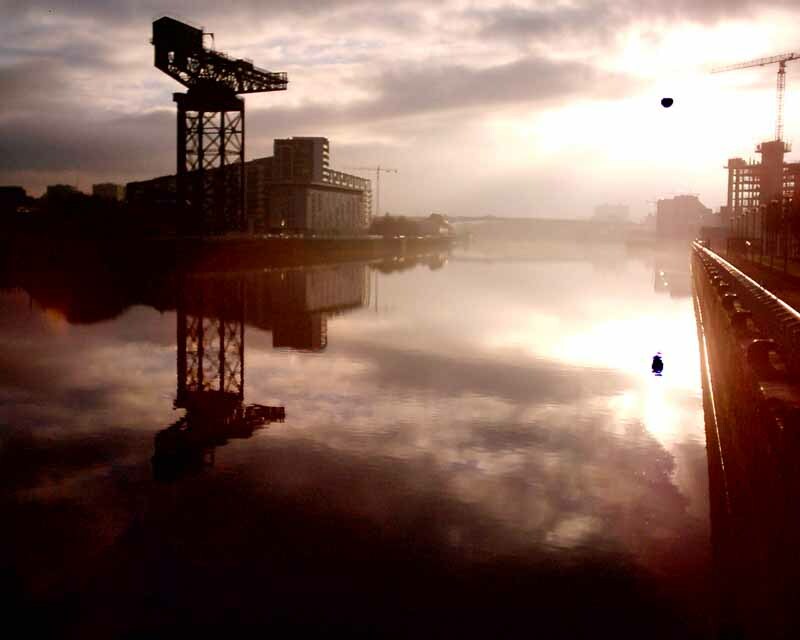 Clyde Street – gm+ad architects project on the Clyde. Opening Event: 28 Nov 2002, 7 – 9 p.m.
Exhibition dates: 29 Nov – 1st Dec 2002, 2 – 7 p.m.
Glasgow, 4 Nov 2002 – Great cities have great rivers. Under this headline eleven international graduates from the Mackintosh School of Architecture in Glasgow present Hypo t h e s i s – an exhibition of their final year design proposals which focus on re-making the River Clyde. 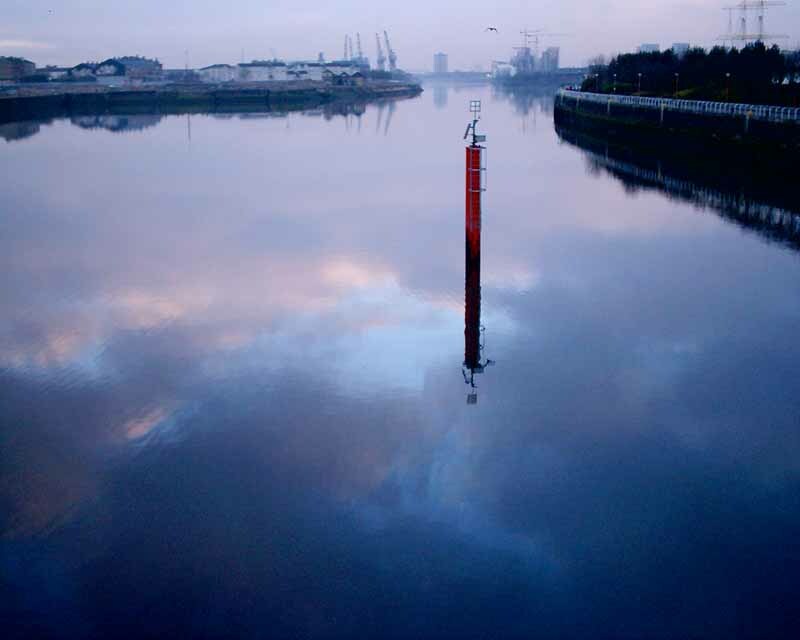 The idea behind the event is to showcase the thesis projects outside the school in a different environment, presenting the work to the general public in a more accessible way and to engage in an open public discussion about the future of the River Clyde. The basis of all the propositions are architectural ideas which are rooted in the landscape and the city, with visions of a sensitive approach towards waterfront regeneration. 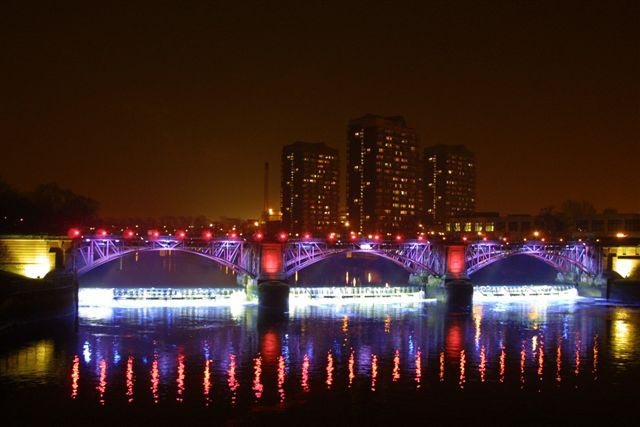 The organisers believe that Glasgow must develop an attitude to the River Clyde to achieve the necessary identity for the city, and that the current thinking on regeneration of the river is commercially driven and lacks innovation and nerve. Hypo t h e s i s makes use of the ‘parasite’ concept – inhabiting vacant shop property. 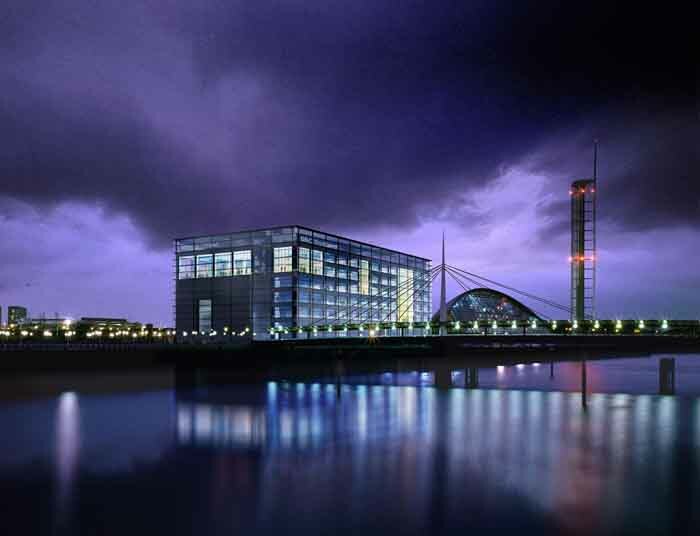 Disused spaces along the River Clyde are transformed into temporary exhibition and event space. The concept is site specific and can be adapted to different volumes making it possible to use any shop size. Hypo t h e s i s blends in with the surrounding urban fabric allowing an open approach by the local community to reflect on ideas about the built environment, and provides a central meeting place for the exchange of these ideas. 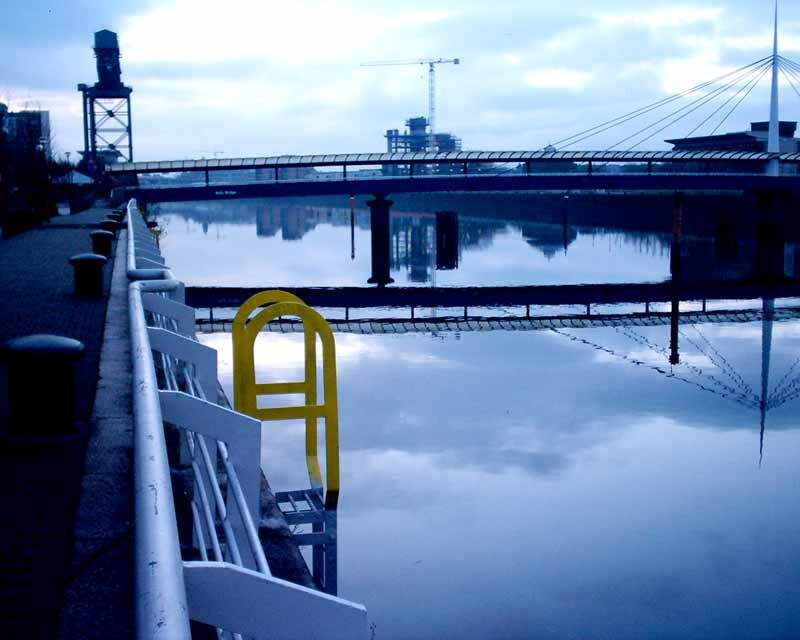 The installation should be seen as a platform to encourage not only the building professions but also the general public in taking part in a broader architectural discussion about the future of Glasgow and the River Clyde. 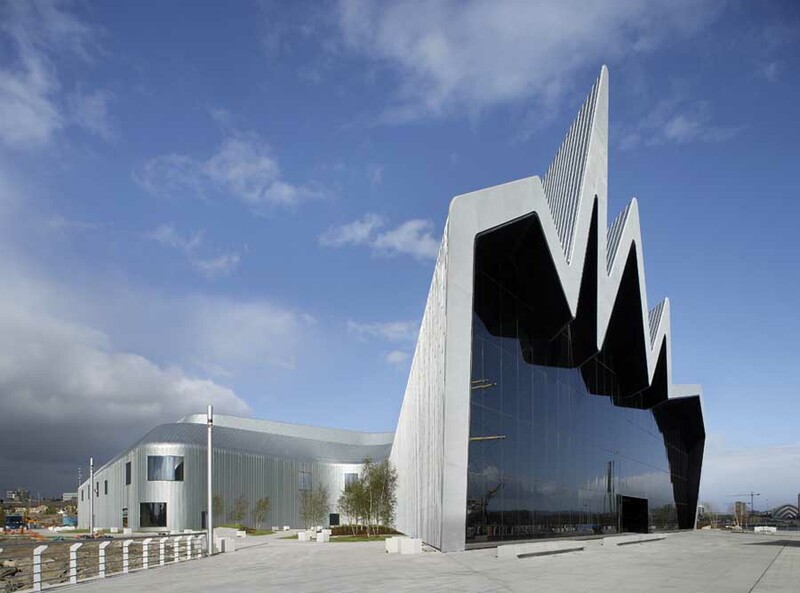 The event is timed to coincide with the Regeneration of Glasgow’s Clyde Waterfront Conference organised by the Royal Incorporation of Architects in Scotland (RIAS). Hypo t h e s i s is also supported by the Merchant City Townscape Heritage Initiative, Glasgow City Council and the Glasgow School of Art.